A New Year’s Tudor Tragedy: Pourquoi has Henry VIII’s Canine Victim been Overlooked? On a December day in 1534, an often-overlooked victim of Henry VIII met a sad end. But this was no overblown nobleman, crowing about his claim to the throne, no broken-hearted wife, turning over the past to see where she had gone wrong, and no devoted councillor unable to fulfil the King’s latest scheme. 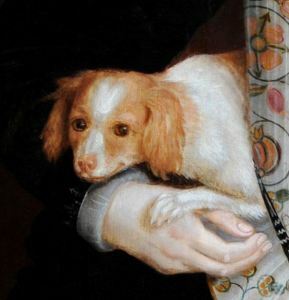 The death of little Purkey, or Pourquoi, Anne Boleyn’s beloved lapdog was to prove a foreshadowing of her own tragic decline. In the beast’s quaint tilted head and appealing eyes, Anne’s own dark orisons were echoed. In its plaintive bark, Henry heard shades of her winning laugh, and when the creature begged, elegantly dancing on his hind legs, it brought the King to mind of Anne’s graceful steps. So why exactly did the canine have to die?